Mike Dieterich on the lost economic opportunities caused by the withdrawal from the Paris Climate Agreement. Joe Lauria on Hillary Clinton’s election loss, through her own words and the thoughts of some her closest aides. Mike Dieterich is a LEED Accredited Professional, environmental scientist, award winning producer, and bestselling author. He has worked in the sustainability industry with local-small businesses to state agencies, federal groups, international companies and nonprofit organizations. He is the author of Renew & Sustain: A cutting edge approach to being socially responsible, environmentally conscious, and incredibly profitable for businesses, schools, and government. This entry was posted in Environment, Environmental Activism, Hillary Clinton, News And Analysis, Politics, Uncategorized and tagged Economy, Environmental Activism, Hillary Clinton, Media, News. Rosen is the Midwest Regional Director of the American Friends Service Committee. In August 2015, he founded Tzedek Chicago, a new ‘non-Zionist’ synagogue in Chicago. Rosen previously served as the rabbi of the Jewish Reconstructionist Congregation in Evanston, Illinois from 1998 to 2014. He is a former president of the Reconstructionist Rabbinical Association. In 2009, he co-founded the Jewish Fast for Gaza, or Ta’anit Tzedek with Rabbi Brian Walt. Rosen is also an active environmentalist. Under his leadership, the Jewish Reconstructionist Congregation built their new building with an environmentally sustainable design in 2008, becoming the first house of worship to ever receive a Platinum rating by the U.S. Green Building Council. He was the recipient of Chicago Magazine’s Green Award for his environmental leadership in 2009. Rosen’s blog Shalom Rav explores “the intersection between Judaism and social justice, with a particular emphasis on Israel/Palestine.” In 2012, Just World Books published his book, “Wrestling in the Daylight: A Rabbi’s Path to Palestinian Solidarity,” which featured his posts and numerous reader comments from Shalom Rav. Rosen is also the author of the blog Yedid Nefesh, where he posts his poetry and thoughts on Judaism and spirituality. He has contributed to The Huffington Post, The Chicago Tribune, The Forward, The Jewish Telegraphic Agency, and other media outlets. This entry was posted in Civil Rights, Cost of War, Debt, Economic Inequality, Economy, Environmental Activism, EPA, Islam, Israel, News And Analysis, Palestine, Race Relations, Radio Shows, Religion and tagged AIPAC, Economic Inequality, EPA, Flint, Israel, Middle East, Trump. On The Monitor this week – The Climate: What is at stake? Can humans survive? We will be exploring these questions with David Ray Griffin. David Ray Griffin is Professor of Philosophy of Religion and Theology, Emeritus, Claremont School of Theology and Claremont Graduate University (1973-2004); Co-Director, Center for Process Studies. He edited the SUNY Series in Constructive Postmodern Thought (1987-2004), which published 31 volumes. He has written 28 books, edited 13 books, and authored 248 articles and chapters. 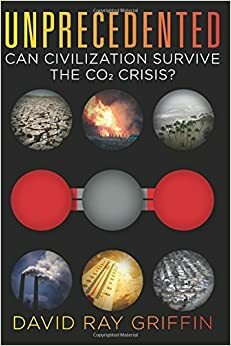 His most recent book is Unprecedented: Can Civilization Survive the CO2 Crisis? This book combines (1) the most extensive treatment of the causes and phenomena of climate change in combination with (2) an extensive treatment of social obstacles and challenges (fossil-fuel funded denialism, media failure,political failure, and moral, religious, and economic challenges), (3) the most extensive treatment of the needed transition from fossil-fuel energy to clean energy, and (4) the most extensive treatment of mobilization. It provides the most complete, most up-to-date treatment of the various kinds of clean energy, and how they could combine to provide 70% clean energy by 2035 and 100% before 2050 (both U.S. and worldwide). This entry was posted in Climate Change, Environmental Activism, Fracking, Keystone XL, Oil. David Bacon is author of The Right to Stay Home and three other books on immigration. He is a labor and immigrant rights activist, and part of the Dignity Campaign. He is an Award-winning photojournalist and author and has spent twenty years as a labor organizer. For the last two decades he has been a reporter, documentary photographer, and longtime radio host. He appears often on KPFA Radio. His previous books included The Children of NAFTA, Communities Without Borders, and Illegal People. He has been an associate editor at Pacific News Service and has written for TruthOut, The Nation, The Progressive, The American Prospect and The San Francisco Chronicle. As an immigrant rights activist, Bacon helped organize the Northern California Coalition for Immigrant Rights and the Labor Immigrant Organizers Network. Hugh MacMillan is a senior researcher in the water program at Food & Water Watch. Prior to joining Food & Water Watch, he served one year as a legislative fellow and science advisor in the U.S. Senate and five years as an assistant professor in the Department of Mathematical Sciences at Clemson University. He has a Ph.D. in applied mathematics from the University of Colorado at Boulder. He is also the main author of The Urgent Case for a Ban on Fracking which states in part that the environmental, public health and socioeconomic impacts that stem from fracking amount to unacceptable risk, and that the harms are certain. This entry was posted in Climate Change, Corporations, Department of Homeland Security, DOJ, Economic Inequality, Environmental Activism, EPA, Fracking, Gasland, Immigration, The Economy.